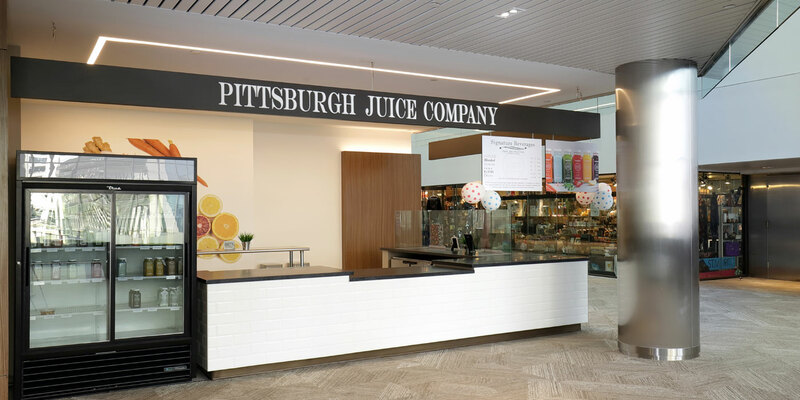 Pittsburgh Juice Company offers a colorful array of organic cold-pressed juices, superfood smoothies and raw-vegan delicacies. 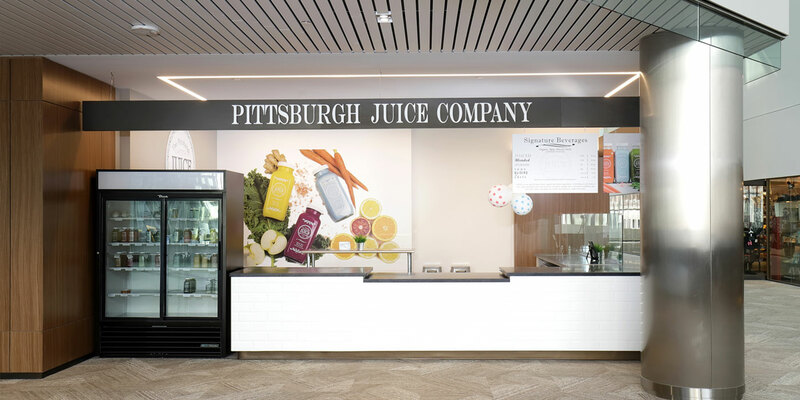 The Pittsburgh Juice Company’s goal is to bring Pittsburgh the most fresh, healthy, and simple organic juices and raw snacks possible. 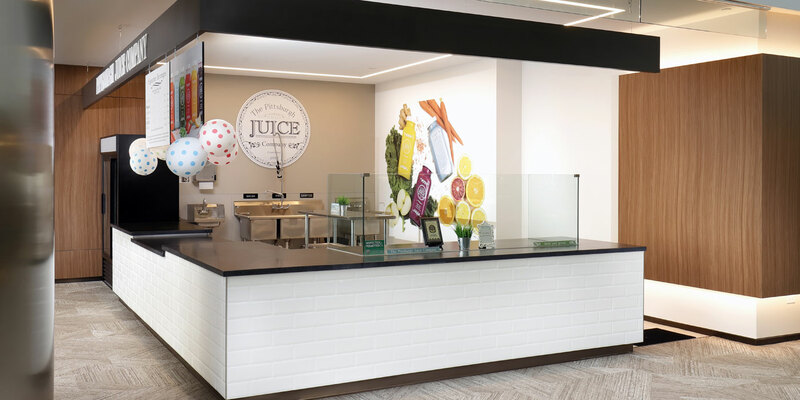 After gaining much success at their flagship location in Lawrenceville on Penn Avenue, the company decided to open a second location at One Oxford Center. MBM was hired as the general contractor to build the 400 SF kiosk in the second floor lobby of Oxford Centre. 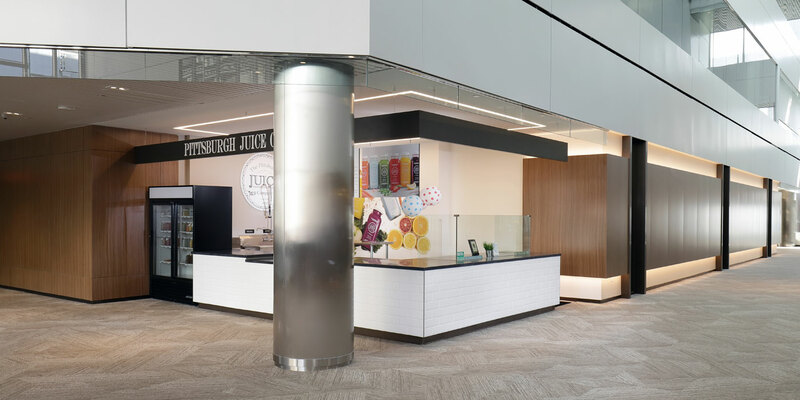 The location includes solid surface countertops, white subway tile and a digital wallcovering.